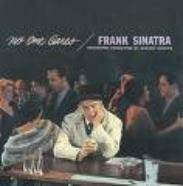 "A STORY THAT MUST BE TOLD"
". . all the right songs..the best ones"
The Frank Sinatra Story is like none other. the drama, and the power Sinatra was able to command. Few know that Frank Sinatra was born dead! The Absurd, Laughter, Applause and the endless tales. and all the panache and class that goes with it. The people who new him – from ordinary people - his devoted fans. but also with other artists who admired and respected the MAN! The magnetism of Lee Alan’s presentation combined with Sinatra’s music. In actual shows music never stops. have talent and know how to use it. anything more than that, actually. the song is trying to say. I've been there - and back. I guess the audience feels it along with me. is an emotion common to all humanity. my youth, Frank had always been there for me. that no one else makes when Sinatra Sings." keen appreciation of what the public wants." master is gone but his voice will live forever." made him a Hollywood icon.